Same same, but just refined a bit. So why is it so important to get the value proposition right? Well, it’s literally the core reason for people out there to notice and eventually choose you as a provider to satisfy their needs. But at the core of every business you will find some main drivers, elements and motivators making the market even notice your particular business. So whatever your idea is, make sure that there is an interest for it… a market for it… or, at least, a latent market for it. It has to create curiosity and in contrary to what many people out there say, it doesn’t have to be “The new thing”, invention or revolution. Just a twist to an already existing idea can be enough to make it interesting and market changing. Ok? 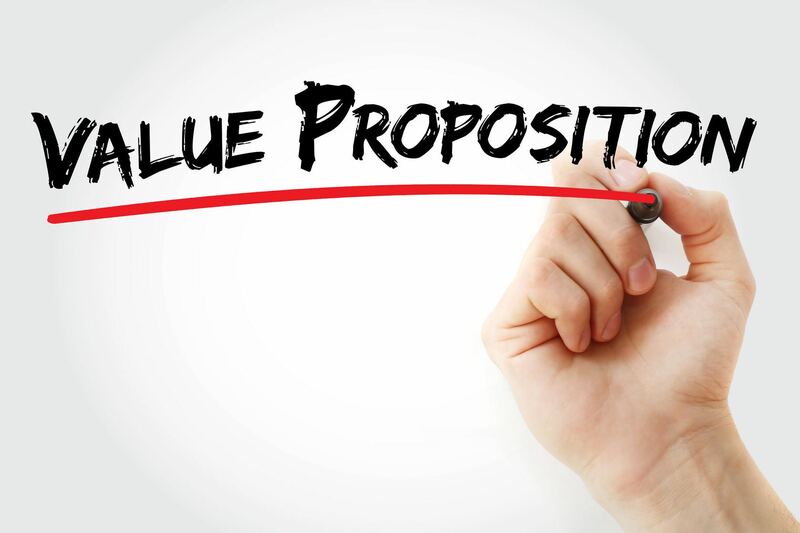 An easy way to structure the value proposition is by adding some sort of framework to it. It makes it easier to organise and cluster all those thoughts and words that you usually attach to your idea. Very good structures for that are actually marketing mix structures. 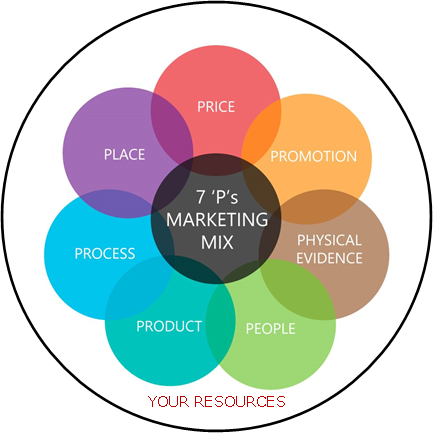 The marketing mix can be defined as a set of marketing tools that the firm uses to pursue its marketing objectives in the target market. Using a marketing mix structure to develop and formulate your value proposition has the benefit, that you end up with a complete game plan for execution. There are many frameworks out there. For the simplicity of it we will here stick to the most known 7P’s. And now we are getting to the practical stuff so stay with us. All of them are very helpful in defining your value proposition for one or several markets. And a market is not necessarily a neighbour country but could be something as simple as the next parking lot or town, different age segment, private vs business customers, vegans, male vs female and so forth. A market is nothing else but a potential customer with a (slightly or mighty) differentiated need. So not only do the 7P’s help you to define your current and original value proposition but it also helps you to alter it and thereby define new value propositions for addressing differentiated markets than the original intended. In other words, it can allow you to attract more potential clients, grow your business and eventually make more money. In theoretical terms you are establishing different marketing mixes to address different needs. Or in other words a great opportunity to grow. For instance in a ferry company I worked for, we had a complete matrix of marketing mixes that we would update and refer to when addressing the different markets. And we had many. All were essentially making use of the same core product we had to offer, but it was always slightly altered, spiced up or down, differentiated or just “wrapped” differently to cater to the need and the preference of the targeted market. To be more specific we often added additional value to the core product (ferry crossings), like assistance, guides, supplementary services and products, special pricing and different marketing strategies and messages to the one and same product. Note: By targeting and accommodating various markets simultaneously you need to take care of Customer Co-Existence. Some can’t and some won’t want to co-exist with others, and targeting both can potentially be fatal for your business. So value propositions and hence marketing mixes are nothing but truly understanding the market you are targeting by reaching out to the right customers, with the right product, at the right time, at the right price, in the right way and at the right place. Got it, right? As you might have noticed have we put the 7P’s into a circle called “Your Resources”. Reason for this is that as good as optimising your value proposition and adjusting you marketing mixes sounds, they require resources which, unless you are very fortunate, won’t have in abundance (something the dear academics giving us the frameworks don’t take too much into account). But for now don’t worry about the circle… we’ll come to it later on in the series. Now that you have a basic idea about value proposition, marketing mixes and their importance, in the next article we will enter into more details on the first two of the 7 P’s. The Product and The Price. We will give you a to the point read and tips on how to adjust and optimise those 2 P’s to attract more potential clients. In case you are not following us already sign up for our newsletter and you’ll receive the article straight to your inbox. If there is something you would like us to elaborate more on or something that wasn’t clear, then let us know and we will come back to you or maybe post it here on our blog. Please also feel free to comment here below. So until next article next week, have a look at your value proposition. Does it need adjustment?